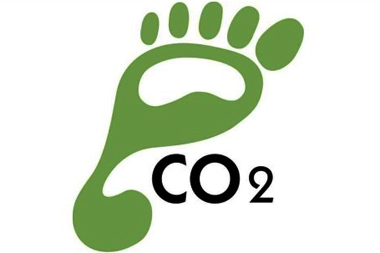 Carbon footprint is basically the measure of the greenhouse emissions generated from a company, product, or home. This determines the impact a specific entity has on the environment. For instance, the carbon footprint of a factory is going to be massively higher than that of a retail store because it creates more waste and emits more carbon dioxide during manufacturing. With so much focus on being “green” in recent years, it is important to the success of your business to keep your carbon footprint as low as possible. A good place to start would be in the type of printer cartridges you use for your inkjet or laser printer. So, how do you do this? Use remanufactured cartridges rather than new ones and recycle your empty cartridges! Companies can rebuild high-quality cartridges from previously used cartridges by changing the moving parts, cleaning the core and refilling with fresh ink or toner. Remanufactured cartridges work just as well as OEM, cost much less because fewer raw materials were needed to make them, and reduce your carbon footprint. When making a new cartridge, such as the HP P1005 toner cartridge, raw materials such as plastic and oil must be used, and each part must be manufactured as new. These parts are recycled when using remanufactured cartridges, which not only minimizes carbon dioxide emissions and uses fewer raw materials, but also costs the consumer less. Though this chart is a generalization and these numbers will vary based on the type and size of the cartridges as well as the company, it is clear to see that remanufactured printer cartridges require much lower emissions, and have a reduced impact on the environment. If your company goes through multiple cartridges per year, using remanufactured cartridges can drastically reduce your carbon footprint. Don’t forget to recycle your empty cartridges, too!